If you’re looking to preserve food for the future, freeze drying is an innovative technique that can help protect perishable items. While many people use traditional freezing to preserve vegetables and meat, freeze drying provides a useful alternative that doesn’t require refrigeration or preservatives. It can also be a great option if you’re planning on traveling with food or want to avoid using harmful additives. In this article, we’ll do our best to answer the most common questions folks have as far as how to freeze dry food. What is the Freeze-Drying Process? With freeze-drying, the process is slightly more complicated than traditionally freezing. Freeze drying uses a unique method called lyophilisation. During this process, the food is brought to a below-freezing temperature, and the water content is then removed using a high-pressure vacuum. The water is extracted in the form of vapor after which it returns to the form of ice on the surface of a condenser. This process provides a preservation method that doesn’t alter the internal composition of the food. Freeze dried foods need to be rehydrated to return to their normal state for consumption. Is There a Difference Between Freeze Dried and Dehydrated? Yes. Dehydration doesn’t use the same freezing method as freeze drying. For this reason, it removes less moisture. While dehydration typically removes up to 95 percent of a product’s moisture, freeze drying can remove up to 99 percent. Freeze drying’s ability to remove more moisture solidifies it as the best method for preserving food as the less moisture that is present the longer foods will last. Also, dehydrated foods typically have additives which change the composition of the food. Salts and other preservatives are common choices. As a result, freeze dried foods are better for those looking to avoid additives. How Long Does It Take to Freeze Dry Food? Freeze drying isn’t a short process – it can take up to 40 hours in some cases, but on the shorter end of the scale, it can be done in as little as 20 hours. This timeframe will depend on the kind of food and the thickness of the product. The thicker the product you’re trying to freeze dry, the longer the process may take. Can Freeze Dried Food Go Bad? Yes. Eventually, all forms of preserved food go bad, but freeze drying your food is one of the most extended forms of preservation. The length of time it takes for a product to spoil will depend on the type of product. For example, fruit typically spoils after just a couple of years. On the other hand, cottage cheese can last up to 30 years if it’s effectively freeze dried. Many types of meat can also last between 20 and 25 years when properly freeze dried. The typical range of active preservation time falls between 2 and 30 years depending on the food. Once you open a freeze-dried package, however, you only have a week or two to consume it before it goes bad. 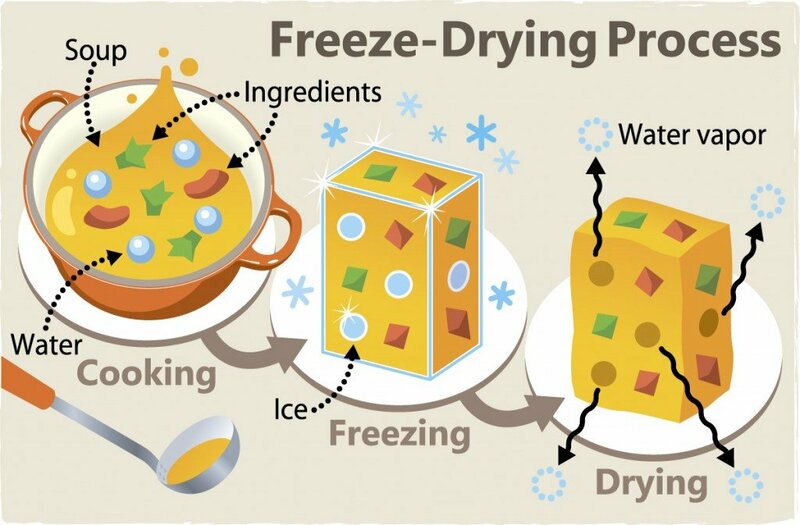 We hope this guide on how to freeze dry food has answered all your questions and helped you better understand the advantages of freeze drying. Supporting Our Ironman in Cozumel What is OEM?